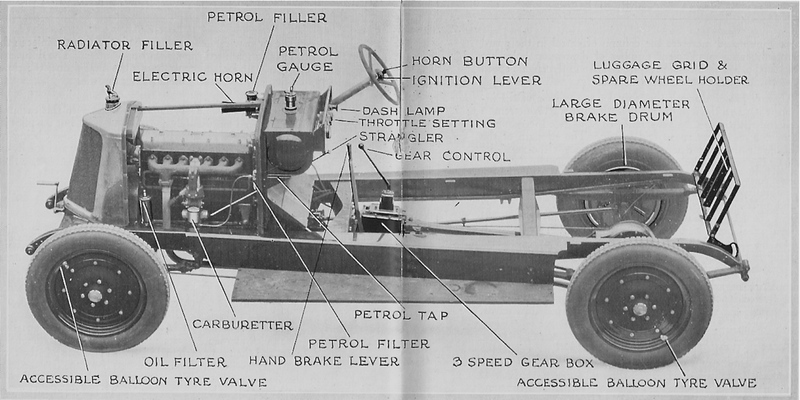 This is a view from the handbook of the Mark 1 chassis. The 18 HP model had a six cylinder engine with a bore and stroke of 2.73″ x 4.125″ (approximately 69.5mm x 105mm) giving a cubic capacity of 2.4 litres. The cylinders were cast in two blocks of three and bolted to the top of the aluminium crankcase. 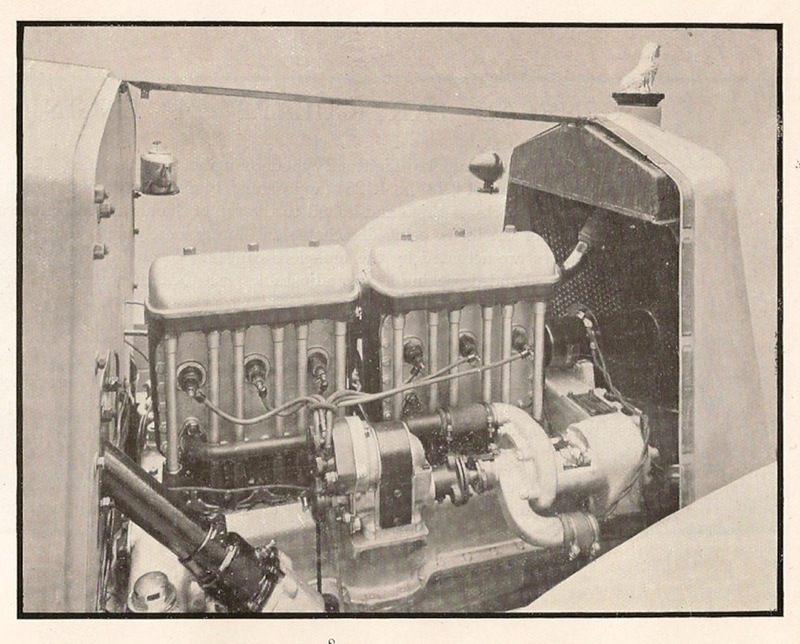 The engine had overhead valves operated by a one-piece camshaft located in the crankcase “through spherical-ended rocking levers, adjustable push rods and tappets, the push rods and tappets being totally enclosed. The tubes enclosing the push-rods are clearly visible in the photograph of the off side of the engine. 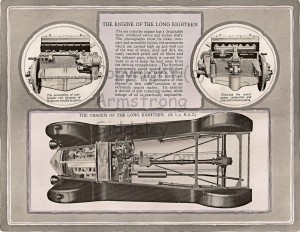 The car had a three speed gearbox which was assembled as a unit with the back axle, the drive being through a torque tube. 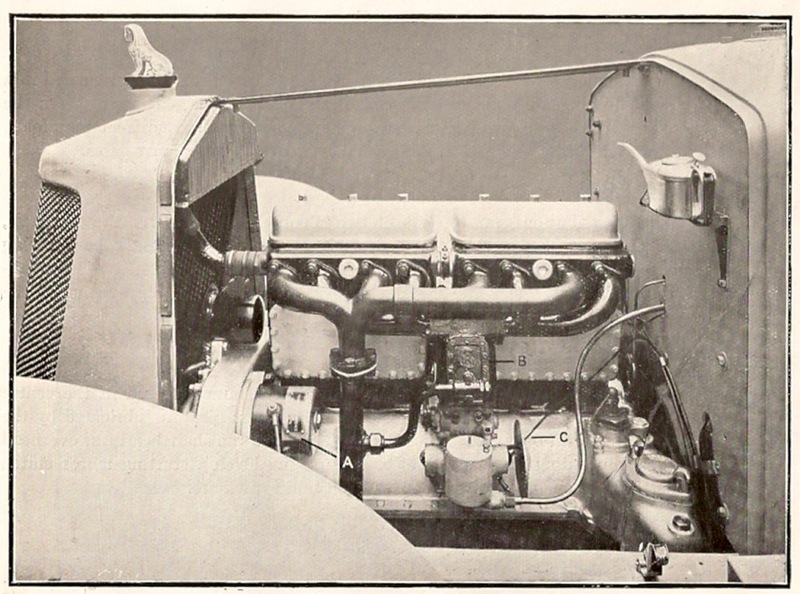 The centrally located gear lever was located to the left of the driver and had a selector gate marked 1, 2, 3, and R for reverse gear. 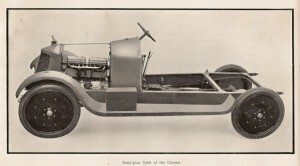 The Mark 1 chassis had semi-elliptical front springs and cantilever rear springs. 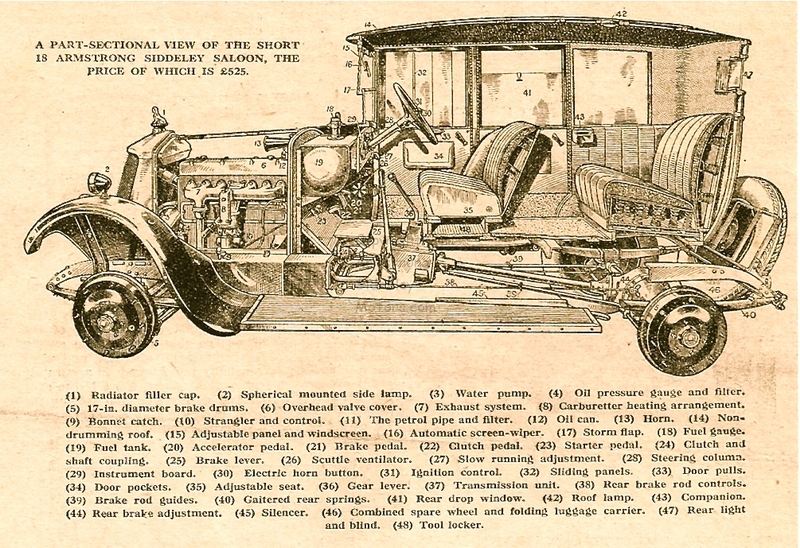 The rear springs had adjustable shackles so that the car could be kept horizontal even if “a heavy body is fitted or a heavy load of passengers is normally carried”. The chassis had rear brakes only and these had two pairs of shoes fitted, the inner pair was operated by the brake pedal, the outer pair by the handbrake lever. The Mark 2 18 HP car was introduced in 1925. It had a six cylinder monobloc engine with detachable head. The bore and stroke was 2 7/8″ x 4 1/2″ (73mm x 114.29mm) giving an increased cubic capacity of 2.87 litres and an RAC rating of 20 HP.The car continued to have a three-speed gearbox and single plate clutch. The model now had four wheel brakes operated by both the foot pedal and hand brake lever. 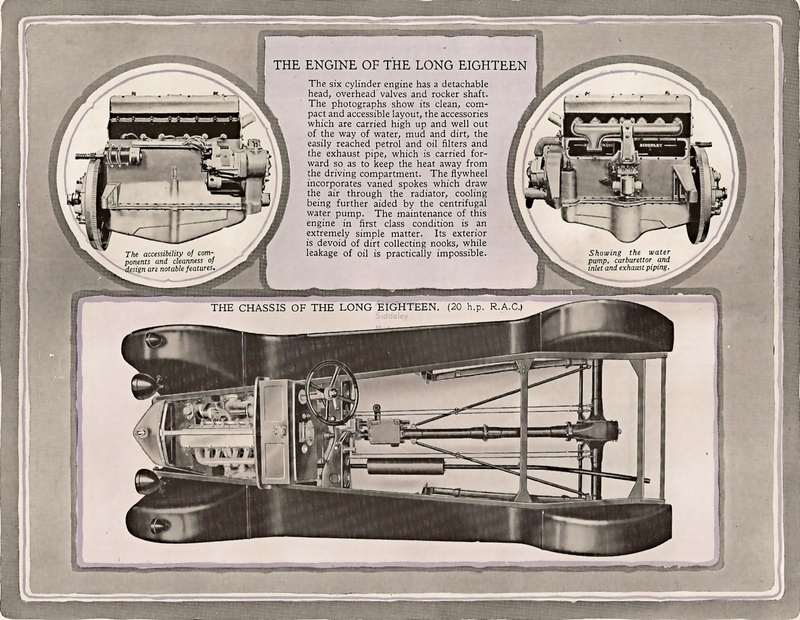 Semi-eliptic springs were fitted to front and rear. The handbook gave the performance as on top gear from 5 to 60 mph. Petrol consumption was 22 miles per gallon (m.p.g.). 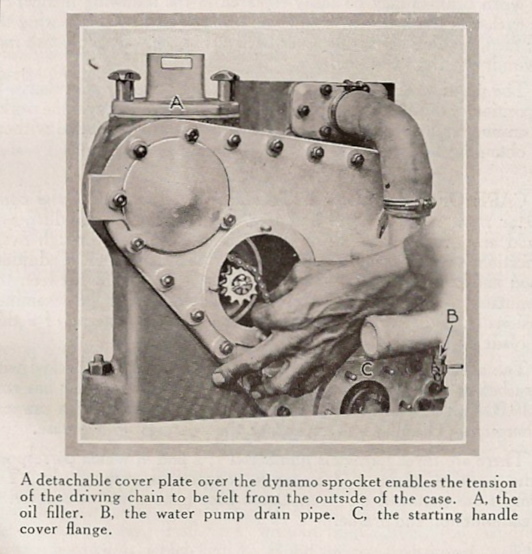 Surrealist photograph meets Armstrong Siddeley handbook – actually a photograph from the Short 18 HP handbook showing how to adjust the tension of the timing chain. 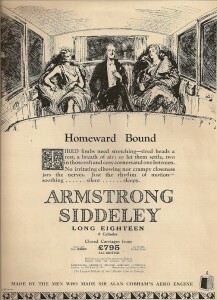 I show here a sectional view of the short 18 HP Armstrong Siddeley saloon. 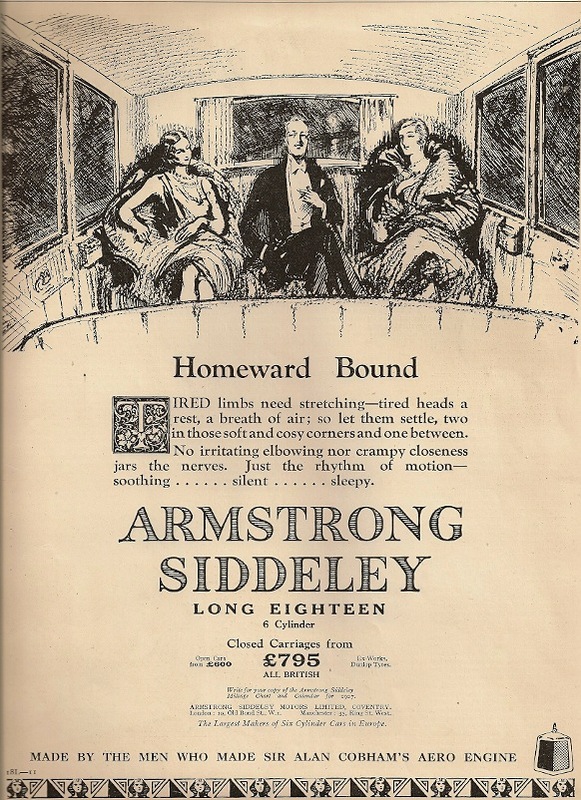 By 1927 Armstrong Siddeley re-designated the model as the Short and Long 20 HP. 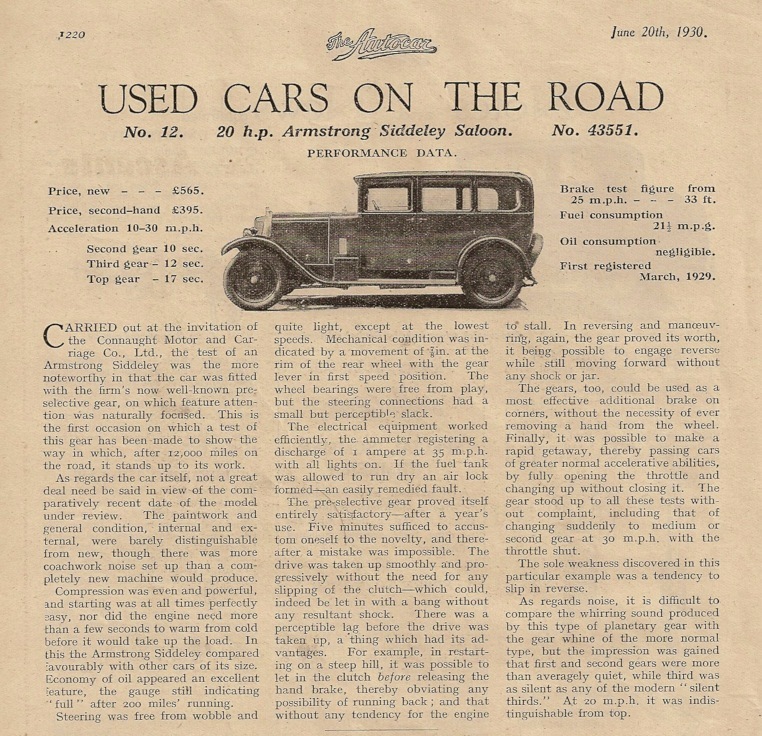 In June 1930 The Autocar featured the 20 HP Armstrong Siddeley saloon, first registered in March 1929, in the series “Used cars on the road”. 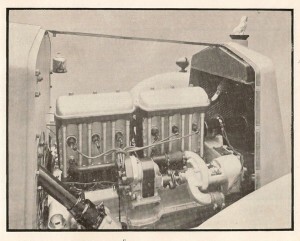 The model tested was fitted with the pre-selector gearbox.